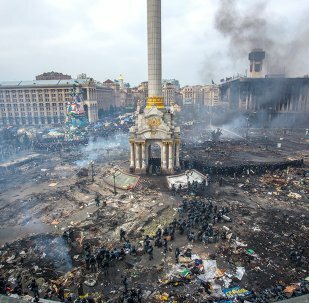 In April, Kiev forces started a military operation against independence supporters in eastern Ukraine, which claimed lives of over 3,700 people. On September 5, the conflicting sides reached a ceasefire agreement at a Contact Group meeting in Minsk. Due to the conflict, Ukraine’s southeastern regions witnessed severe humanitarian catastrophe, as many citizens struggled without clean water, electricity and other essentials. Only 32 percent of Ukrainians believe that the country's president Petro Poroshenko is able to put an end to the conflict in the war-torn Donbass region, a poll revealed on Monday. Ukraine's ex-President Viktor Yanukovych said Monday he did not order the use of weapons to disperse protesters from central Kiev in early 2014. 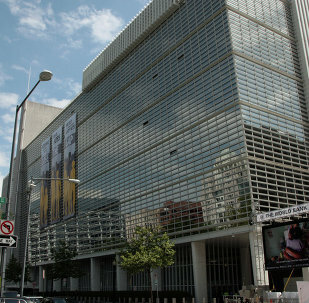 Authorities in Ukraine, along with the United Nations and the World Bank, have jointly established Multi-Partner Trust Funds, a mechanism intended to boost the country’s economic recovery, according to a release from the Bank. The Russian, German, French and Ukrainian foreign ministers could meet late next month or early the following month to discuss a peace settlement road map in eastern Ukraine, the country's foreign minister said Thursday. Kremlin spokesman Dmitry Peskov confirmed that Russia has influence over Donbass representatives, but it is not boundless. Ukrainian President Petro Poroshenko had revoked the Minsk ceasefire agreements and initiated hostilities in the eastern region of Donbass, head of the self-proclaimed Donetsk People’s Republic (DPR) Alexander Zakharchenko said on Sunday. A telephone conversation with German Chancellor Angela Merkel and French President Francois Hollande, during which the sides will discuss the Normandy format meeting, will be held on Sunday or on Monday morning, Ukraine’s president Petro Poroshenko said on Saturday. German Chancellor Angela Merkel and Ukrainian President Petro Poroshenko agreed to convene a trilateral summit together with France’s President Francois Hollande soon, according to a statement released by Poroshenko’s office following a phone call held on Thursday. Canada will allocate $8.1 million to support the national police reform in Ukraine, Canadian Foreign Minister Stephane Dion said Sunday. Ukraine needs to accelerate economic reforms for smooth transition of bilateral cooperation with the United States after the US presidential election in November, US Secretary of Commerce Penny Pritzker and Ukrainian Prime Minister Volodymyr Groysman said in a joint statement on Friday. The United States should provide lethal defensive weapons to Ukraine if the situation in the eastern part of the country continues to be unsettled, former NATO Secretary-General and current adviser to the Ukrainian president, Anders Fogh Rasmussen, told Sputnik. The "school year" ceasefire recommitment made by Russia and Ukraine is a critical part of the fulfillment of the Minsk agreement, US Department of State spokesperson John Kirby said in a statement. 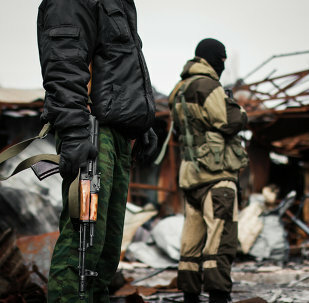 A new ceasefire is coming into force in Ukraine’s troubled southeast (Donbass) on Thursday. 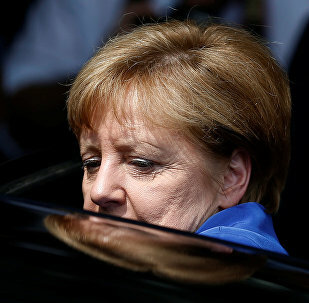 German Chancellor Angela Merkel says Daesh terrorism in Europe is not linked to the inflow of refugees. Ousted Ukrainian President Viktor Yanukovych seeks to have a face-to-face confrontation with incumbent leader Petro Poroshenko. Economic losses of Ukraine because of Russian trade restrictions will amount to about $1 billion in 2016, Ukrainian Deputy Minister for Economic Development Nataliya Mykolska said on Tuesday. Ukrainian media outlet Evropeyskaya Pravda called Monday on the European Union not to introduce the visa-free regime with Ukraine, accusing the Kiev authorities of "falsifying" the required reforms. After Minsk: Will Peace Come to Ukraine? The OSCE Special Monitoring Mission (SMM) to Ukraine recorded more than 750 explosions in the Donetsk and Lugansk regions between July 18 and 19, according to a report released Wednesday. The US Republican Party announced its support for the sovereignty of Ukraine and pledged assistance to the country’s armed forces, according to the 2016 platform adopted at the party’s national convention. Ukrainian President Petro Poroshenko and International Monetary Fund’s Managing Director Christine Lagarde discussed provisions of a next tranche of the loan to Ukraine, the Ukrainian president’s press service said in a statement on Saturday.